Dry food storage canisters with a crisp and clear design that makes it possible both to see content from the side – cupboard storage – and from the top – drawer storage. The cansiters are stackable on top of each other for optimal storage. 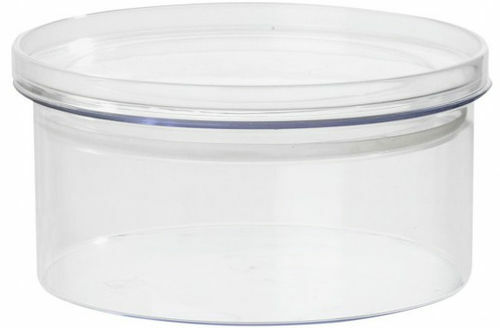 Hermetic silicone brim in the lid ensure that food items stays fresh and dry.